As a Labeling Engineer you will be responsible for designing, testing and implementing packaging labels for New Product Development as well as maintenance of existing product lines (sterile, non-sterile). You will also assist the label printing processes in operations, lead in a variety of projects and CAPAs and support all activities related to Labeling. Do you bring good communication skills, precise working methods, and a desire to work with a team? - Then you might be the right person for this position. Support of internal and external audits and inspections (Competent Authority, Notified Body). Identify potential roadblocks, provide proposed solution and escalate to supervisor. Track of external standards and regulations applicable to labels. University Degree (BSc) or equivalent in life sciences, technical (engineering) or related field. (Equivalent to Fachhochschul-Abschluss). Experience in medical device industry or in any other regulated business environment is preferred and would be advantageous. This is a great opportunity to develop your international experience and be a part of a truly global team. 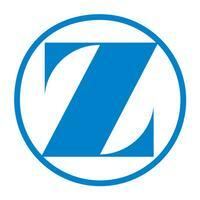 Zimmer Biomet offers a wide range of challenging career advancement opportunities and a dynamic work environment. We look forward to receiving your complete application online.